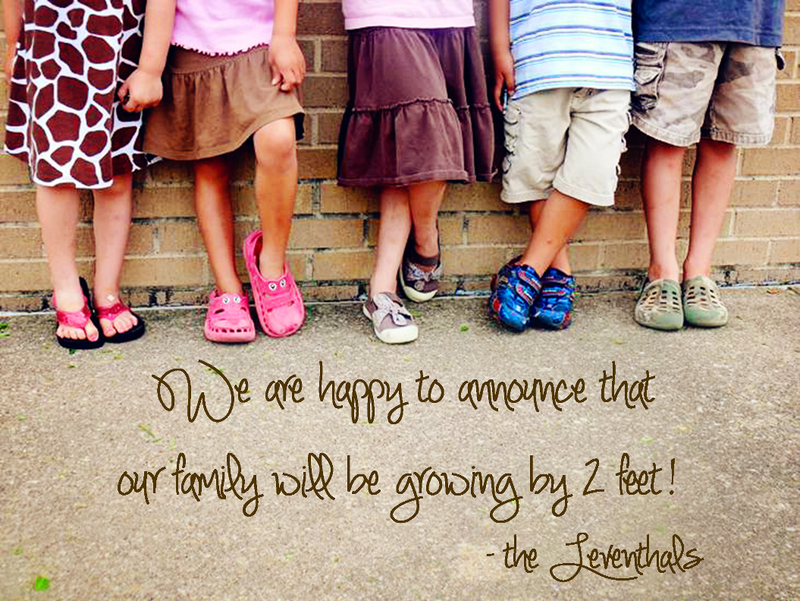 On April 1, 2012 I learned that our family would be growing, yet again! I hesitated telling David and the kids, because I thought they probably wouldn't believe me seeing as it was April Fools Day! But I couldn't wait. Their reactions were priceless! So over the next few months my belly will be growing and some time late November we will be welcoming a new little bundle. On one hand I can't believe we're going back to the diaper stage, but on the other I am so super excited! With Apple doing away with iWeb, it's time to change over our blog. I don't know exactly how this is going to work...if there's any way to completely transfer our old blog onto this one, or if I'd have to move each post one at a time (which would take a really long time). But I figured you've got to start somewhere! I've actually wanted a change the blog for a while now. I wanted something that could look a little more "girly" than the apple options, but the thought starting a whole new blog seemed crazy. Well, I guess now I don't really have a choice. So, here it goes....Welcome to the New Leventhal Family Blog. I'm sure David will figure out a way to link up our family url with this site, but I'm not quite that technologically savvy, so I'll leave it to him! Hopefully over time I'll get information transferred over, and actually start posting again. I know it's been about a year! Sorry! It's been a crazy year...not that this next year is going to be any less crazy! Hopefully I'll be back soon to fill in some of the gaps!